You must make reservations at least 5 minutes in advance of the time at Houston White Co..
Street parking only. Limited special parking is available upon request and for the disabled. Off-premise catering available. Inquire for more details. 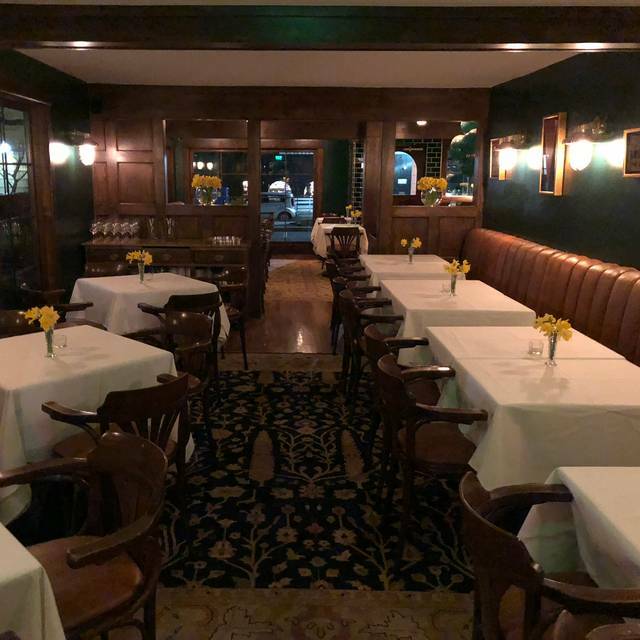 Private dining room available for up to 16 guests. Other options available for larger parties. Houston White Co. is a fine steakhouse located at 315 Rehoboth Avenue, in Rehoboth Beach, DE, serving only the finest Prime beef or better. USDA Prime Barrel Cut Ribeye | 8 Oz. Wagyu Flank | 10 Oz. 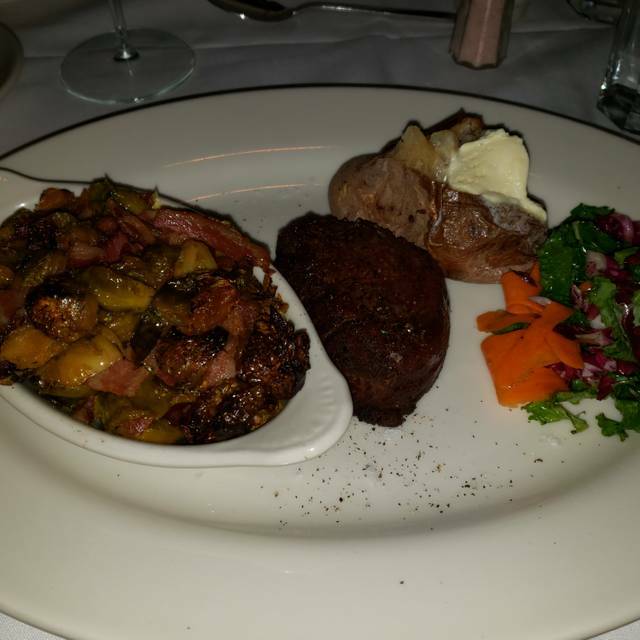 USDA Prime Filet Mignon | 8 Oz. USDA Prime Delmonico Ribeye | 16 Oz. USDA Prime Dry Aged Kansas City Strip | 20 Oz. USDA Prime Porterhouse | 48 Oz. This is a very special restaurant. The food and service are over the top. Love the ambiance - New York City Steak House with a "Beachy" feel. Very comfortable. Love the Thursday night Filet Special. The owner is wonderful. See you soon. Cheers! Wonderful atmosphere, fantastic service, excellent value, and superb meal. We were greeted immediately by two staff at the door. One was Gennady who sat us and turned out to be our server. He was very professional while keeping things light and fun. He was very knowledgeable not only about the menu but also explained the background of the owner and her family. We had a delicious meal. The tenderloin melted in our mouths. Nicole the manager stopped by our table and she was very pleasant. All in all it was a very enjoyable night. We will be returning to Houston White. Very nice for a special occasion but too expensive for a regular visit. Michael the Bartender is the best. You will love every aspect of the place. The waiter neglected to inform of the prices of the specials. Is it my fault for not asking? I ate delicious lamb chops, however, they cost $59.00!!!! It was very crowded and the tables were too small. I don’t pay that much in the Rainbow Room. The petit filet special was only $10.95 but if you wanted a potato you had to pay an additional $5.00. I, however, cannot complain about the taste of the food—-wonderful. It is the best deal hands down in rehoboth or frankly anywhere. Service is wonderful and the ambiance and furniture are 1st class. I can’t express how fantastic a deal this is! Went there for our 28th Aniversary....Was great!!! Our service was excellent. The staff is happy and this carries over to their friendly and professional service. The menu offers a good variety of selections. The food was good quality and prepared well. We had a very enjoyable evening and highly recommend Houston White. Great food, excellent service. Had the lamb, it was luscious! Although noisy, nothing negative and very enjoyable meal!!! Delicious petit filet! Great service and ambiance- thank you! Wow! Best steak to be had ANYWHERE! Please bring back the bernaise. Tenderloin/filets are not the same without it. My wife and I have been to Houston White twice in the past two months. Food and service were excellent on both occasions. GREAT EXPERIENCE, BEST RESTAURANT IN REHOBOTH BEACH. THE FOOD WAS OUTSTANDING AND THE WAIT STAFF VERY PROFESSIONAL. I HIGHLY RECOMMEND THIS ESTABLISHMENT. Great service and selection. Steaks were great. Small intimate seating area. Wet food wine selection. Dru aged rib eye was not good. Barrel cut rib eye was dry and tasteless. 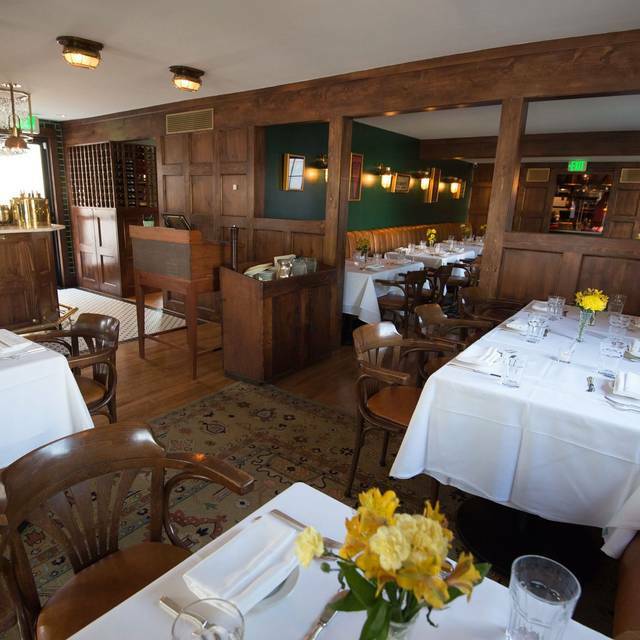 The service was impeccable, the food outstanding, and the ambiance perfect for a birthday celebration with friends. And it was Thursday, so the petite filet was on special. The steaks were seasoned and cooked perfectly, and the sides were served family style, so we a variety of options to suit everyone’s taste. Peter, on loan from La Fable, was our server and was a true joy, attending to our wants and needs with just the right amount of attention. We always go to Houston White for steak. Their steaks are prime cut and delicious. The side dishes, mushrooms, baked potatoes, green beans, are all delicious. However, we ordered the Caesar salad and the greens were definitely not romaine lettuce. We did not ask the waiter what was served, but a salad classic should not be offered with unauthentic greens. A Birthday celebration! Happy hour at the bar before our reservation was relaxing and preparing us for our upcoming dinner. Excellent up scale food and wonderful settling for any celebration. From ambiance to food to service, just a first class experience!! Had a great birthday dinner! Meal was fantastic! Will return soon. The food, service and overall experience was outstanding. The best Steak that I have ever had. I would definitely go back again. Great time. We will be back! Great food and service. It was extremely loud in part to a table near us but still loud after they left. I think it is on the expensive side, however the steak was superb. The side dishes were sooo wonderful as well. I recommend you give it a try. Two steaks were switched and were the wrong temperature. We had a reservation and were seated by the kitchen and the walking path is tight so they kept bumping my dad’s chair. The noise level was so high we could not have a normal conversation. The Prime Rib special was disappointing. It lacked flavor and the accompanying baked potato and string beans were very ordinary. Nice atmosphere, food was excellent. Great dining experience. I highly recommend. At a “steakhouse” I would think you would offer French onion soup. The menu selections had a good variety, and the waiter was knowledgeable in all of its aspects. He was sensitive, and accommodating with the special dietary needs of one of our party as well. The food and service was magnificent, and we will return. Very good food and excellent staff. Was a bit crowded and very loud. Truly a steakhouse but all portions were huge - nothing under 12 oz. so I tried the stroganoff & it was only ok. Perfect sauce & plenty of mushrooms but the beef was a bit fatty & the meat should have been cut into smaller pieces. The trout was vey good & served with a ton of green beans. The place also needs a far bigger selection of wines by the glass - only had 3 red options, 3 white & a rose. Needed at least 2 bottles of wine under $40. The wait staff was excellent! See Full Restaurant ListMake a Reservation at Houston White Co.